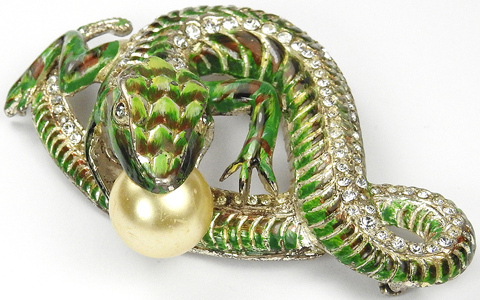 Reference: Cera, Jewels of Fantasy, p. 175, pictured, dated c 1942-45. 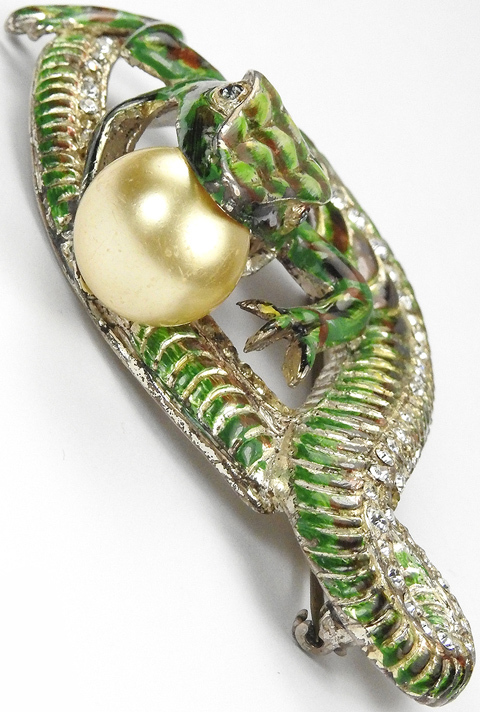 Brunialti, American Costume Jewelry - Art and Industry (2008) Vol 1 p 139, both showing a fully pave back as in the patent - patent is reproduced below (scroll down); designer Adolph Katz, dated 1942. 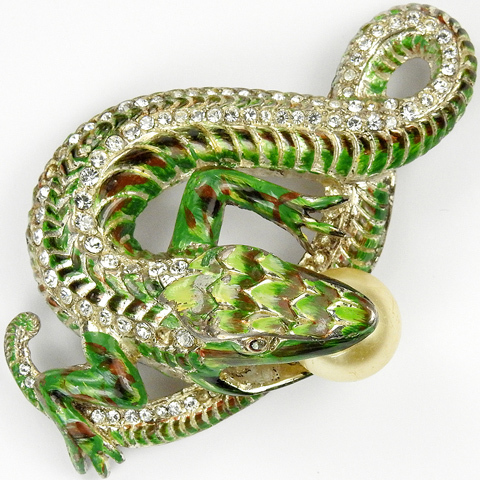 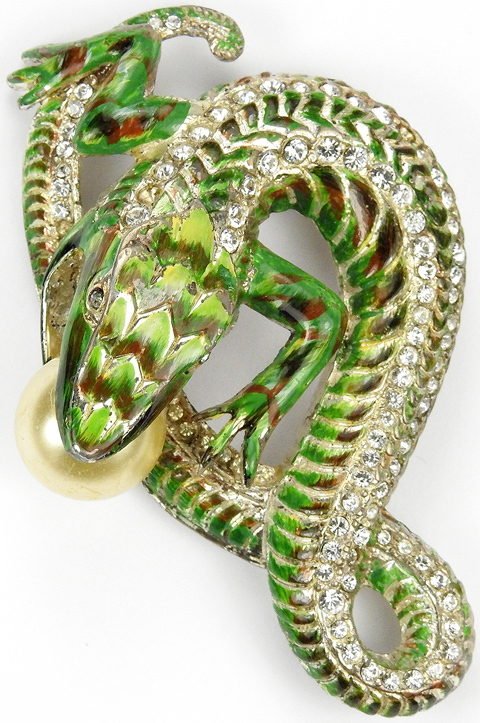 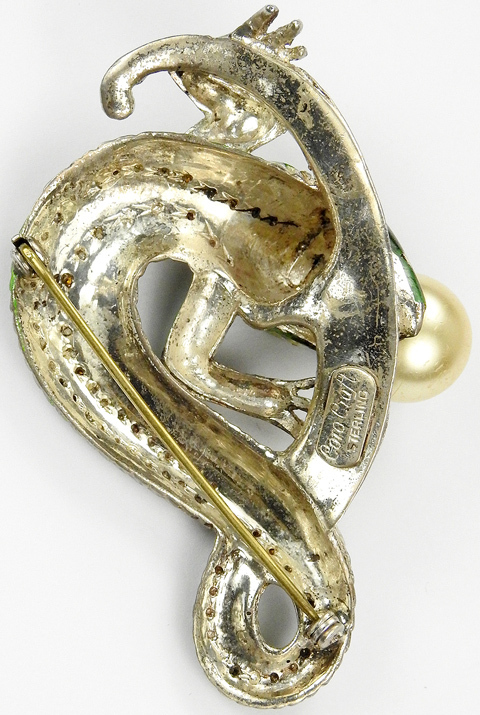 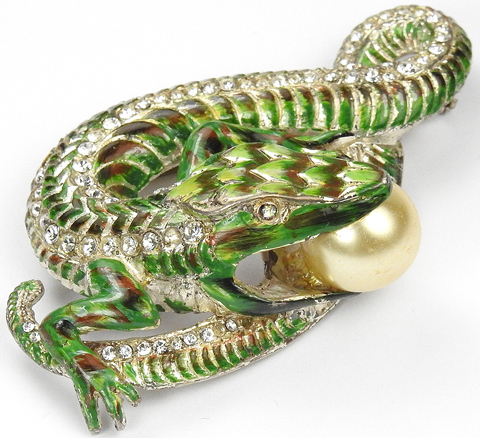 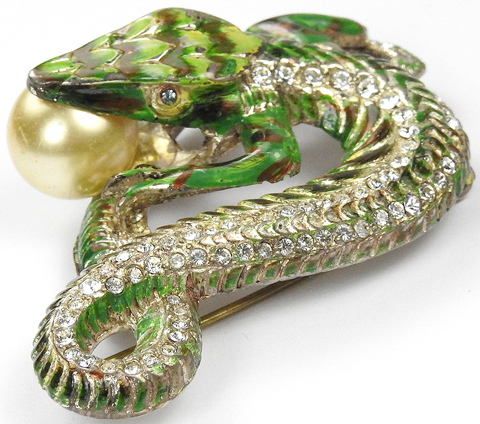 This is a rare variant, with two distinct lines of rhinestones along the back.